I love Las Vegas. The entertainment, the freedom, the innovation in marketing at every turn. 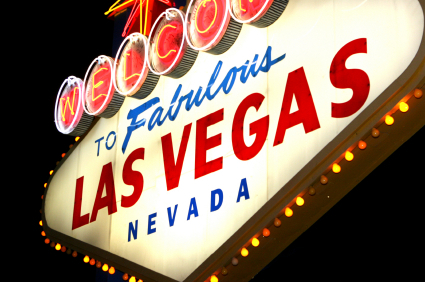 And, yes, there are a plethora of lessons to be learned from marketing Las Vegas to healthcare marketing. In a town that constantly reinvents itself, it’s easy to find marketing inspiration for any industry, including the medical industry. From Bugsy Siegel to Howard Hughes to Steve Wynn, Las Vegas has seen it’s share of reinvention, growth as well as crushing defeat and then rebirth. From the megaresort era in the 1990’s to the family fun era to a return to adult entertainment and, currently, the nightclub era, there are very few businesses, organizations or companies that have reinvented themselves as many times as Las Vegas. According to Forbes, Steve Wynn, a mastermind behind much of Vegas’s success, spent $100 million to build crown-jewel nightclub XS at his eponymous casino and now operates under there other supporting venues across two properties. Why? Because this year, Las Vegas will attract 40 million visitors for the first time in history, and Wynn wants to capitalize on that number by bringing as many visitors as he possibly can to his innovative nightclubs. This might sound like a stretch, but the same ideas can apply to your practice. In healthcare marketing, staying ahead of the curve is the name of the game. It’s what the professionals at Quaintise achieve each and every day for our clients. Your practice must be innovative not only with the medicine you practice and the tools you use to practice, but the entire experience that your patients receive from the moment they walk in the door. Just as Steve Wynn subscribes to the theory “if you build it, they will come,” so to must you and your practice. Every great organization, business, even entertainer, is the master of reinventing themselves. As times change, technology improves, trends and thought processes evolve, your practice must reinvent itself to remain relevant to your audience. Understanding how your audience changes over time will assist you in developing your own reinvention. The professionals at Quaintise know your audience like no other healthcare marketing agency around. And, as that audience evolves, as generations pass, you’ll need to understand that what worked for grandma will not work for grand-daughter – not only in treatment and medicine, but in marketing and advertising as well. Do you know why Vegas casino owners spend hundreds of thousands of dollars bringing in top DJ’s? Because those DJ’s are the best of the best, and that is what brings in the audience. Your practice should be no difference. If you have the best of the best when it comes to physicians, patients will show up. For example, when researching a great physician or OB GYN, prospective patients might Google their names. At Quaintse, we know better then anyone how important reputation management is online for physicians. If that prospective patient sees 3 stars or less on Vitals, Healthgrades or RateMD’s, you better bet she will move on to the next doctor. According to Forbes.com, Nevada’s onetime oligopoly on games of chance continues to erode, forcing the Strip to reinvent itself yet again. Bugsy Siegel recognized that glitz and shows could make a desert dice town mainstream (Broadway with gambling). Then came conventions. In the early 1990s the Strip transformed into a family-friendly theme park (Disneyland with gambling), and a shopping mall arms race followed (Rodeo Drive with gambling). The new savior of the moment: nightclubs and electronic dance music, with some of the world’s wealthiest titans betting big on the Ibiza-with-gambling formula. Without progression of trends, ideas, marketing and advertising initiatives, Las Vegas would not have survived for as long as it has. The same goes for your practice. You and your healthcare marketing team must have an insatiable commitment to progression and evolution of ideas in both medicine and marketing. In order to not only survive, but to strive ahead of your competitors, you absolutely must be willing to shake things up a bit. The professional marketers and advertisers at Quaintise stand by these qualities of a successful agency. Vegas might be a long-shot, but in terms of marketing and advertising healthcare, there truly is not that much of a difference.